Due to its open architecture, LucaNet can be seamlessly integrated into any business intelligence environments using access via MDX-Statements or XMLA/ODBO. As a result, you are able to leverage standard Business Intelligence solutions with individual requirements for planning, reporting and analysis of other topic areas. This opens up an extensive and completely integrated world of reporting for users, with the maximum level of transparency. To display the data from LucaNet and other data sources in a standardised interface, you can supplement the possibilities offered by basic technologies from Microsoft with professional software products from other BI manufacturers. Power BI delivering simple drag and drop capability to end users, directly connected to LucaNet open architecture. Rocket Software delivering simple drag and drop capability to end users, directly connected to LucaNet open architecture. 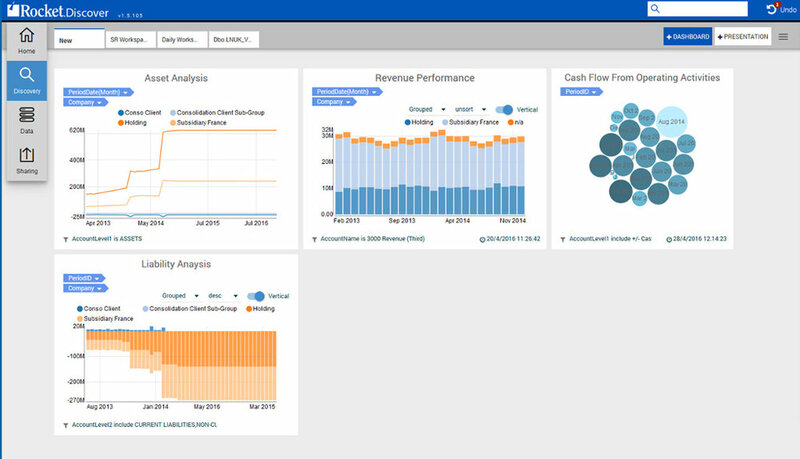 The Business Intelligence journey can easily start with the use of Excel and Pivot tables, again connected directly to the LucaNet environment. "Because LucaNet is so easy to use, it's a very practical tool. Once you're familiar with the navigation buttons, it's easy to locate the right data. My colleague has only been working here for a couple of months but she can already retrieve the information she wants from LucaNet herself."